At Zerowait we understand that customer and employee satisfaction are the keys to long term growth. Our aim when we started the company was to create an atmosphere that encouraged employee and customer loyalty, relying on the recommendations and referrals of our customers and business partners to facilitate our growth in a business that demands a sterling reputation. Our customers and business partners know that they have a personal relationship with Zerowait’s staff, often telling us that it is the relationships they have with our employees that makes their jobs easier. We recognize that there are lots of competitors for our products and services, so we have built our business plan on truly partnering with our customers. Building trust relationships takes time, as partners must invest in their relationship to get the most out of it. Our multi faceted service business would not be successful if it was built on the economics of individual transactions. We recognize that our business growth is attributable to the time we devote to making our business personal. Thanks to the loyalty of our customers and employees, we continue to grow, with 2010 our best year ever. To enable us to provide better service in Australia/Asia, we will be opening our Sydney, Australia office in 2011. 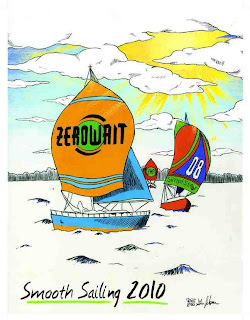 Our Australian business has grown completely on the recommendations and referrals of our customers, and as we continue to expand our Australian/Asian presence we will continue to focus on relationship building to make certain our new customers, wherever they are located, recognize they are part of the Zerowait family.